The new version of ForgeRock Directory Services, based on OpenDJ 3.0, was released in January and I’ve already written about the new features here, here and here. We’ve now started the development of the next releases. We’ve updated the high level roadmap on our wiki, to give you an idea of what’s coming. The last few weeks have been very active, as you can see on our JIRA dashboard. A Bcrypt password storage scheme. The new scheme is meant to help migration of user accounts from other systems, without requiring a password reset. Bcrypt also provide a much stronger level of security for hashing passwords, as it’s number of iteration is configurable. But since OpenDJ 2.6, we are already providing a PBKDF2 password storage scheme which is recommended over Bcrypt by OWASP, for securing passwords. Some enhancements of our performance testing tools, part of the OpenDJ LDAP Toolkit. All xxxxrate tools have a new way of computing statistics, providing more reliable and consistent results while reducing the overhead of producing them. If you want to see it by yourself, you can checkout the code from our GIT repository, and build it, or you can grab the latest nightly build. 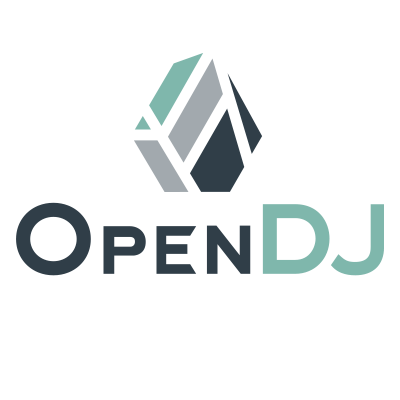 Play with OpenDJ and let us know how it works for you. We have just uploaded OpenDS 2.3.0-build003, a new snapshot from the development branch of the OpenDS project, to the promoted-build repository. OpenDS 2.3.0-build003 is built from revision 6502 of our source tree. We have also updated the archive that may be used to install OpenDS via Java Web Start. You may launch that using the URL http://www.opends.org/promoted-builds/2.3.0-build003/install/QuickSetup.jnlp, or visit https://www.opends.org/wiki/page/OverviewOfTheQuickSetupTool for more information. We have just uploaded OpenDS 2.3.0-build002, a new snapshot from the development branch of the OpenDS project, to the promoted-build repository. OpenDS 2.3.0-build002 is built from revision 6400 of our source tree. We have also updated the archive that may be used to install OpenDS via Java Web Start. You may launch that using the URL http://www.opends.org/promoted-builds/2.3.0-build002/install/QuickSetup.jnlp, or visit https://www.opends.org/wiki/page/OverviewOfTheQuickSetupTool for more information. Fixes several issues related to building OpenDS, especially on Windows. In December, the team had released OpenDS 2.2.0, a stable release of the LDAP directory server written for the Java platform. While the quality assurance team was testing and making sure the level of quality and reliability was there, the developers continued to add features on the trunk. So today, I’m happy to announce the promotion of OpenDS 2.3.0-build001, the first development build on the path to OpenDS 2.4, a stable release currently planned for Summer 2010. The import code has been refined to improve performances, especially with very large data set. Tests have been run with 1,000,000,000 entries and the file imported in about 40 hours. This version of OpenDS provides support for Subentries in LDAP [RFC 3672] and Collective Attributes for LDAP [RFC 3671]. In addition to the support of the Collective attribute standard, OpenDS supports a more user friendly notation, allowing to make use of Collective attribute definitions with standard attributes. More on this subject in a future article, although if you want to understand how to use it, Anton already wrote a description on the OpenDS Wiki. These 2 features are just started to be seriously tested by the OpenDS team, so they cannot be considered as fully stable yet. There are already some issues being investigated, with the rebuild-index and verify-index commands. If you do find an issue with this OpenDS build, please report it in Issue Tracker. We have also updated the archive that may be used to install OpenDS via Java Web Start. You may launch that using the URL http://www.opends.org/promoted-builds/2.3.0-build001/install/QuickSetup.jnlp, or visit https://www.opends.org/wiki/page/OverviewOfTheQuickSetupTool for more information.